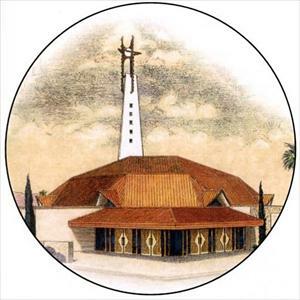 The Desert Palms Presbyterian Church was designed and built by the Taliesin West Architects of the Frank Lloyd Wright Foundation. 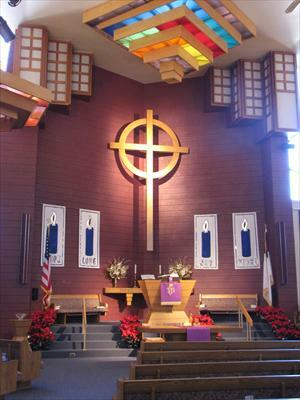 The sanctuary, Phase I, was was dedicated November 16, 1986. The initial design provided for seating for 500 worshipers in a 180-degree fan geometry with no worshiper being more than 48 feet from the pulpit. Ground breaking for Phase II which included Fellowship Hall, Administration Building, Chapel and the Memorial Gardens (including the Columbarium) was held on December 10, 1989. Dedication of these new additions was celebrated on November 19, 1990. 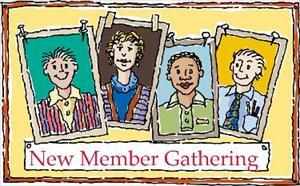 A further expansion was dedicated on April 29, 2001 which expanded office space, expanded seating in the sanctuary, and added a library, a conference room, and drama and storage areas. "The Tower of the Saints": The new Testament refers to "Sants" as believers in Christ who are living and growing in faith. Our tower, which houses the carillon speakers, is triangular in shape. The tower rises 68 feet. 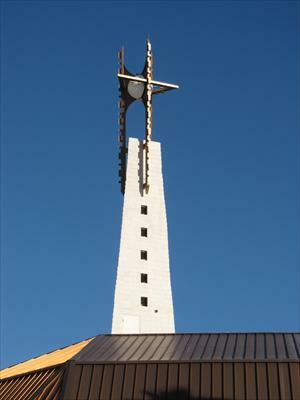 The crosses atop the tower add another 17 feet. Ground level to top of the crosses: 85 feet. "The Tower's Crown": The crown consists of three 25 ft. steel crosses with arms welded together forming a triangle (representing the Trinity). A 4-ft. diameter illuminated globe (located in the triangular center of the arms) provides the circle for each of the three Celtic Crosses and also represents the world. (Christ throughout the world.) When illuminated at night it becomes "A Beacon in the Desert. The Sanctuary seating (fan shape) was designed so that no one would be more than 50 feet from the pulpit. The Celtic Cross above the chancel is 16 feet tall and 9 feet wide. The chandeliers are hexagons, 8 feet in diameter. The decorative rainbow skylight swirls downward 6 feet from the domed ceiling. It is 35 feet from the floor to the top point of the domed ceiling. Desert Palms Presbyterian Church is now a congregation of approximately 800 members and affiliates who are active in the many spiritual, social and services activities available. Desert Palms is also blessed with a fine Pastoral Staff and an outstanding Music Program.